Native to India, cucumber has been grown as a food source for over 3000 years. The Greeks also cultivated cucumbers as (later) did the Romans. And today cucumbers are cultivated in many parts of the world. 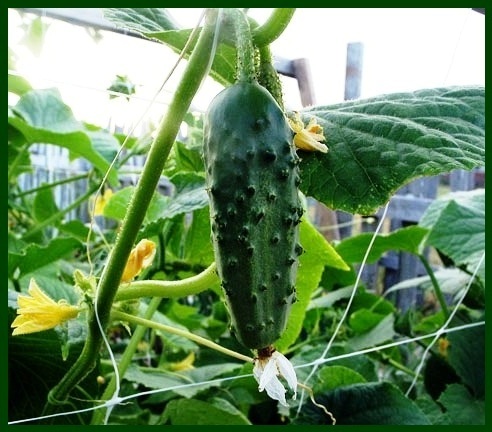 Cucumber is easy to grow and is a vegetable that belongs to the gourd family. Different varieties, varying in size, shape, and color, are cultivated all around the world. In general, the fruit features dark green skin, crispy moisture rich flesh, and small edible seeds concentrated at its center. Like other squash members, cucumbers should be harvested when they are young, tender and just short of reaching maturity, at a stage when they taste sweet and have a unique flavor. If left alone, the fruit continues to grow in size, its skin become tough and turns yellow, and seeds become hard and inedible. Fresh cucumbers are available throughout the season and can be eaten raw as is or in vegetable salads or in the form of juice. 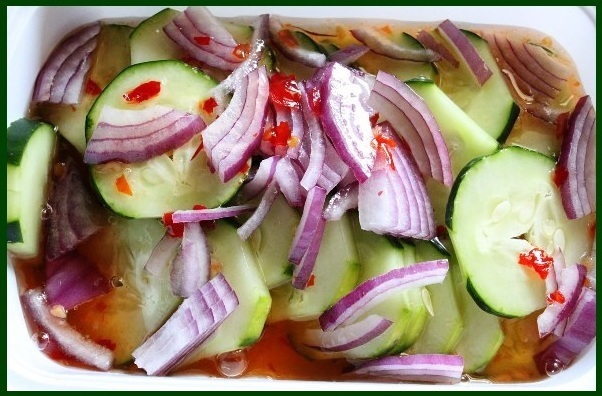 There are two types of cucumbers: slicing cucumbers and pickling cucumbers. The pickling varieties tend to be smaller, thicker, and have bumpy skin with black-dotted spines. Cucumbers are a great anti-aging food, as they contain essential vitamins and minerals to slow the aging process down, both internally and externally. 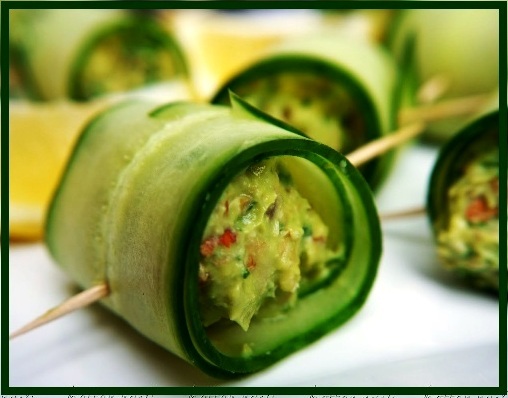 Cucumber is low in calories and fat that makes them a healthy choice for salads and snacking. 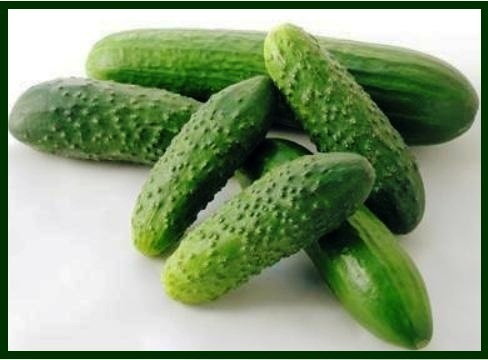 Acts as a Diuretic – The water content of Cucumber acts as a diuretic. It encourages the elimination of waste products from the body through urination. 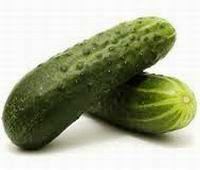 Regular intake of cucumber helps to dissolve kidney stones. Aids digestion – Another important benefit of cucumber juice is it can treat digestive ailments like ulcer, gastritis, heartburn and acidity. This juice improves digestion by flushing toxins out of the digestive system. Patients suffering from chronic constipation can benefit by eating cucumbers daily. Aids in Weight Loss – Due to its low calorie and high water content, cucumber is an ideal diet for people who looking for weight loss. An Antioxidant – According to studies, free radicals are the number one cause of aging, including the appearance of wrinkles. The powerful antioxidant vitamins contained in the cucumber, such as vitamins A, C and E, help to clean the body of free radicals and dead skin cells. This stimulates the growth of new cells, and the end result is softer, smoother and more radiant skin. For immediate results, apply grated cucumber to your face and skin and leave it on for about 10 to 15 minutes, before rinsing. Beneficial for Teeth and Gums – Cucumber juice is also beneficial for people with teeth and gums problems, especially in cases of pyorrhea. Controls Blood Pressure – Cucumber juice contains a lot of potassium, magnesium and fiber that work effectively for regulating blood pressure. 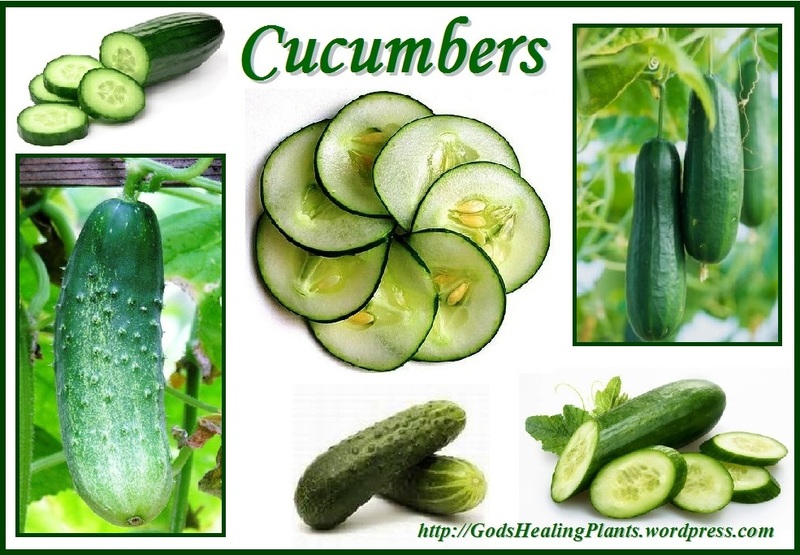 Diabetes – The cucumber juice has been found to be beneficial for the diabetic patients. This vegetable contains a hormone needed by the cells of the pancreas for producing insulin. 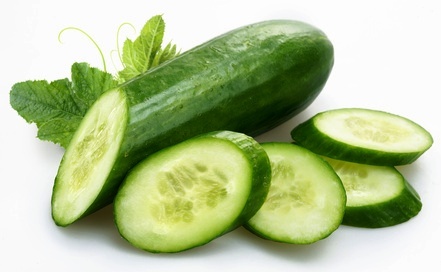 Fight Cancers – Cucumber are known to contain lariciresinol, pinoresinol, and secoisolariciresinol – three lignans that have a strong history of research in connection with reducing the risk of several cancer types. 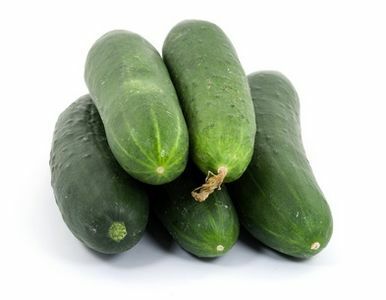 High in Dietary Fiber – Cucumbers are high in dietary fiber which helps to improve your digestive system so that your body can eliminate waste in a timely manner. This is essential if you want to look and feel young, as it increases your energy levels and helps to reduce the overall wear and tear on your body. A healthy digestive system will also boost your immune system to help you ward off most age related diseases such as cancer, diabetes and fibromyalgia. 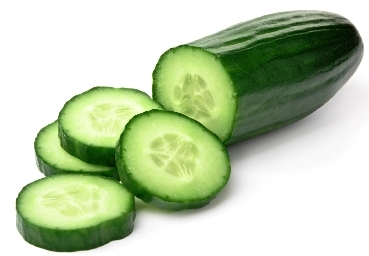 Keeps body hydrated – Cucumbers are about 90 percent water, which helps to moisturize your body from the inside out. It contains vitamin A, which also acts as a natural moisturizer to reduce wrinkles and other signs of aging. 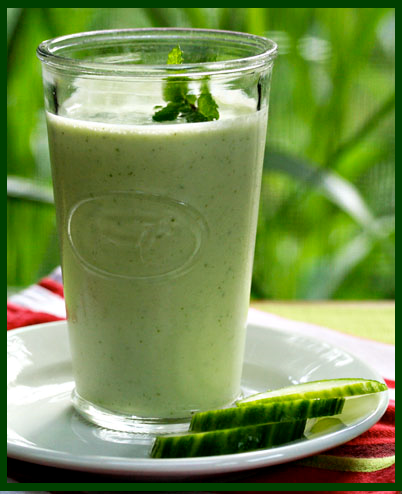 Cucumber juice helps in keeping the body hydrated and regulating body temperature. It also helps in flushing out the toxins from the body. Reduces Stress – Stress is a major contributor to the aging process. It can cause insomnia, weight gain and other health problems that can cause you to look tired and worn out. 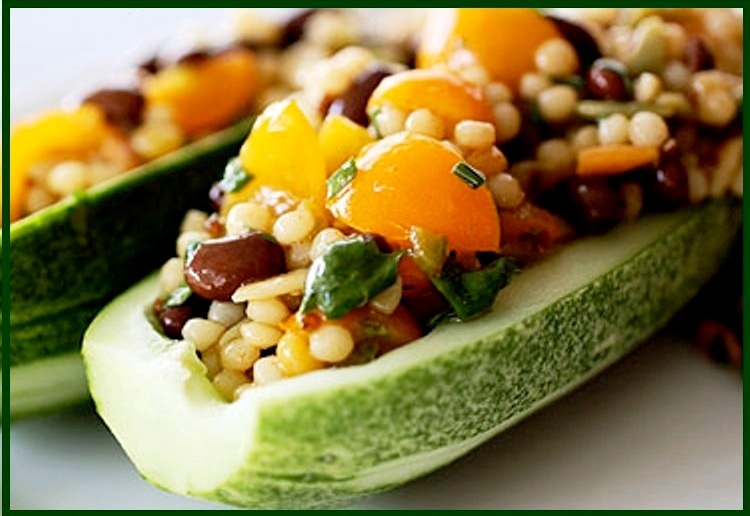 Cucumbers can help to reduce your levels of stress due to an amino acid called tryptophan. When the tryptophan reaches your brain, it is able to produce two essential hormones known as serotonin and melatonin. These hormones help you to relax and feel good so that you can stay calm in tough situations. These hormones are also essential for helping you to fall into a deep sleep at night so that you can wake up feeling fully rested. Relieve gout and arthritis pain – Cucumber is rich in vitamins A, B1, B6, C & D, Folate, Calcium, Magnesium, and Potassium, when mixed with carrot juice, they can relieve gout and arthritis pain by lowering the uric acid levels. 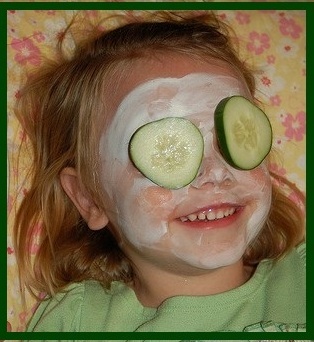 Skin, Joint and Nail care – Facial masks containing cucumber juice can be used for skin tightening. 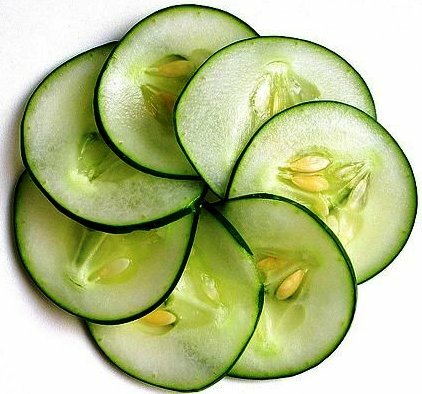 Ascorbic acid and caffeic acid present in cucumbers can bring down the water retention rate which in turn diminishes the puffiness and swelling under the eyes. Cucumber skin also can bring relief to the skin caused by sunburn or windburn. Besides the high water content, vitamins A, B & C and the presence of certain minerals like magnesium, potassium, cucumbers contain silica, which is a trace mineral, and it is essential for maintaining a healthy body structure and a youthful appearance. It not only helps your muscles, tendons, ligaments, cartilage and bones to stay strong, but it also helps to maintain healthy skin, hair and nails. Silica increases the production of collagen in the skin to help maintain its elasticity. This, in turn, helps to reduce wrinkles, as well as stretch marks resulting from pregnancy or from being overweight. Stimulates hair growth – Cucumber contains silicon and sulphur and thus a regular intake of cucumber can help promote healthy hair growth. 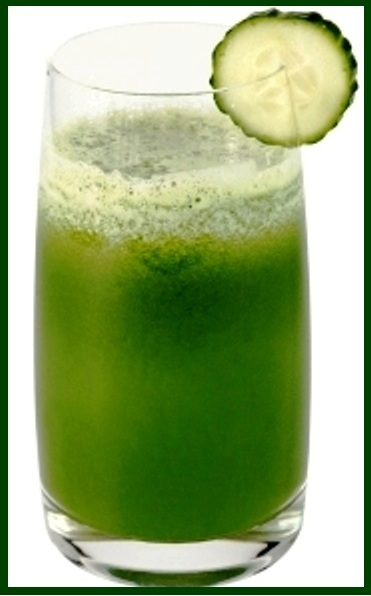 For best results, mix cucumber juice with the juices of carrot, lettuce or spinach. Fresh cucumbers are readily available in the stores all around the season. Different varieties are available depending upon the region. In the store, buy fresh ones that feature bright green color, that are firm and stout in texture. Look for spots, cuts or breaks over its surface. Do not buy overly matured or yellow colored since they tend to contain more insoluble fiber and mature seeds. Also, avoid those with wrinkled ends as they indicate old stock and state of de-hydration. Buy organic products when you can, which are better for your health. Once at home, they should be washed thoroughly in clean water to rid off dust and pesticides (therefore it is better to BUY ORGANIC). The skin comes in a variety of colors and often with tiny spikes that should be rubbed off easily. Do not discard the peel as it has vital minerals, phyto-chemicals, and fiber. To store, keep them at room temperature for a day or two, but better stored inside the refrigerator set at high relative humidity where they stay fresh for several days. They can also be sliced or grated and applied as a topical cleanser or moisturizer.